5429 South Valdai Street Aurora, CO. | MLS# 6232702 | Assist2Sell Piele Realty | Full Service With Savings! Pride of ownership! Beautifully maintained home in Saddle Rock Ridge! Lovely Front Range mountain views! Custom Alder wood doors! Lovely oak flooring with a cozy Swiss Chalet feel! Charming front porch and mature landscaping, great curb appeal! Updated open kitchen with abundant cabinets, counter space, and custom backsplash with quality appliances. Large formal dining area. Step down family room with sliding glass door to large wooden deck with wonderful Mt. Evan views. Spacious master suite with private bath, walk-in closet and ceiling fan. Central air! Walkout basement. Brand new roof and gutters! Great storage with almost 4 ft. of clearance. Walk to award winning Cherry Creek Schools! Paths throughout neighborhood. Great location! 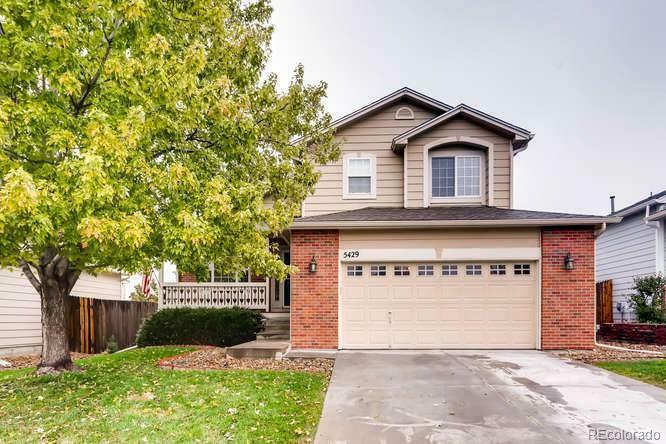 Just minutes to Southlands Mall, E-470, shopping and restaurants. Water purification system and surge protector for electrical and computer systems.